ARE YOU RECEIVING PAYMENTS ON A REAL ESTATE NOTE? ARE YOU HOLDING A MORTGAGE OR DEED OF TRUST? ARE YOU TIRED OF COLLECTING PAYMENTS? DO YOU NEED SOME QUICK CASH? If you sold your property and carried back a note to facilitate the sale of that property, we can give you CASH for all or part of that note! If you are currently RECEIVING payments on a first position note secured by real estate, you don't have to be satisfied with the small monthly payments that trickle in. 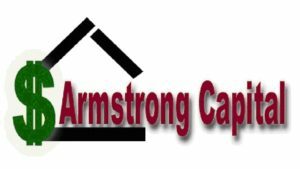 Since 1991 Armstrong Capital has helped thousands of Seller Financed Note Holders just like you get a lump sum of CASH by selling all or part of their note! Contact Us TODAY for a FREE Analysis of the Value of your Real Estate Note! Click here to e-mail us now! If you are RECEIVING payments on some form of income stream, all or part of it can probably be sold. Contact us to find out more!